Naming a star after someone has an epic ring to it that draws many people to the numerous star naming registries around the world. Whether you want to honor the memory of a loved one, surprise your significant other or give a friend an unforgettable birthday gift, naming a star is a unique way to do it. However, there are some important things to know before deciding to buy a star. You could wind up investing a significant amount of money for the star name and the commemorative memorabilia that goes with it, so it's best to understand what the star naming process involves and what you can expect to get for your investment. Can You "Own" a Star? When you buy a star, you don't really own a celestial body. Instead, your purchase is a commemorative one in which a registry company attributes the name you choose to a star and issues a certificate in return. This unofficial process gets your star name listed in that particular registry's databases. Some registries offer a printed or PDF copy of this database so that you can see your name among the others that have been purchased. Star naming is an unofficial designation that differs significantly from the process used by the International Astronomical Union to name celestial bodies. The only way to truly get an object in space named after you is to discover it, such as being the first person to see a comet or uncover a previously unknown asteroid. These names are recognized by the scientific community, but star names purchased from registries are not. Should You Buy a Star? Buying a star through a registry is as simple as picking a star, assigning it a name, filling out a bit of information and paying a fee. You have to decide if the investment is appropriate for the person or situation you want to commemorate with this novelty purchase. Star naming is largely sentimental and symbolic, which is why many people like to do it in honor of a loved one who has passed on. Other people find it romantic to have a star as their namesake. In the end, what you get is a piece of paper that shows the name that you attributed to a certain star somewhere in the universe, and what that means to you and the recipient of the gift is something personal that you share. Where Can Stars Be "Purchased?" A search for star naming services turns up multiple options, including the International Star Registry, Name a Star, Staracle and even eBay. Prices and package options differ from one service to another, and each operates its own independent registry. One unique option is Adopt a Star, also called the Pale Blue Dot project. Unlike other services, this non-profit organization offers stars and planetary systems for "adoption." Each celestial body has been observed by the Kepler telescope, and the money from adoptions goes toward funding further exploration for planets similar to Earth. 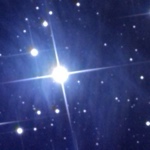 Star registries name everything from single stars to entire celestial systems. Some stars stand alone. Others exist as part of binary systems where two stars orbit each other. There are also different types of stars, including neutron stars, red dwarf stars, blue giants and red giants. Stars may or may not have planets and could be located close enough to see with the naked eye or so far away that you need a telescope to find them. With all of these options available among the billions of stars in the universe, you can pick a star or system that's representative of the person you're naming it after. In many cases, you can also choose the location of the star within a specific area or constellation. This allows you to select a star in a celestial formation that has special significance. How Much Does a Star Cost? You can personalize your gift by including as many or as few of these additional services as you want. If you'd rather adopt a star or system from the Pale Blue Dot project, you'll pay anywhere from $10 to $50. This fee includes a download of your star certificate, a way to look at your star and a listing on the organization's website. Remember that star naming isn't officially recognized by any government, scientific or astronomical groups. The name you attribute to a star is only listed with the registry service from which you purchase a certificate. While it may not be re-sold to someone else through the same registry, there are no rules in place to prevent identical names and stars from being purchased by someone else through a different service. Partly because of this lack of control, many scientific organizations frown on the practice of star naming. If a registry claims to be associated with any official group, check on their claims before doing business with them. With all of this in mind, it's up to you to decide if buying a star is worth the money. If you feel that it's the best way to honor or recognize someone you care about and that they would appreciate the gesture, go ahead and get them a special place among the constellations. Make the experience even more meaningful with a trip to a planetarium or a night of stargazing with a telescope to bring the beauty of outer space a little closer to home.